It’s a proud and colourful homage to Jake Allen’s homeland, artwork that will soon be on display for the entire hockey world to see. There haven’t been many New Brunswick-born players that have made it to hockey’s highest level, 50, to be specific. Bordering the U.S. in eastern Canada, the Maritime province is home to just over 750,000 people. 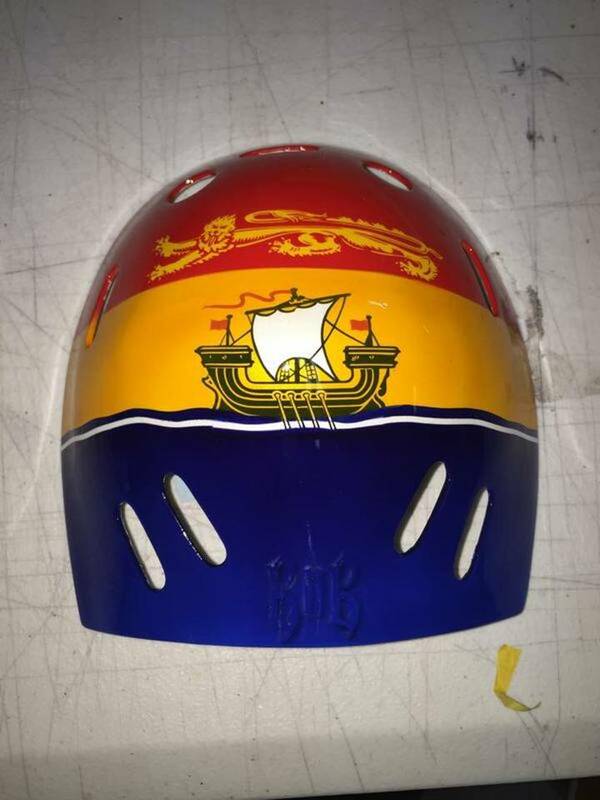 Allen, who hails from the capital of Fredericton, recently took to Twitter (@34jallen) to share a glimpse of his new goalie mask, the back of which bears the provincial flag of New Brunswick. The top third consists of a golden lion on a red base, with a white ship sailing on the water, on a gold base in the bottom. While the entire mask hasn’t been completed yet, reaction from New Brunswickers has been, not surprisingly, rather enthusiastic. The 25-year-old loved the opportunity to grow up in New Brunswick, the place where his passion for hockey began. He returns there every summer. He didn’t begin his hockey life as a goalie. 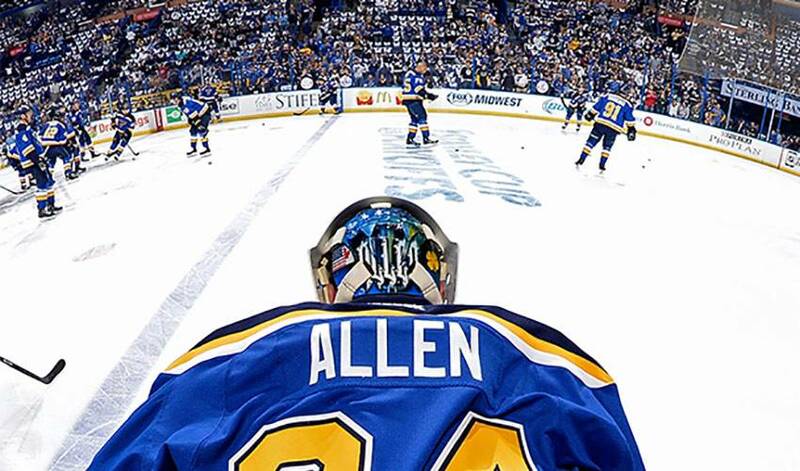 And, speaking of great fits, Allen’s hoping that new mask of his is just that come the 2015/16 NHL season.